Preheat oven to 350 degrees and lightly grease 9 inch pie plate. Using fork, stir pie crust ingredients together until combined. Transfer mixture to pie plate and gently spread and pack with hands. Prepare a water bath by pouring enouch water into baking pan to cover 1 inch of the sides. Mix together yogurt and honey (or IMO syrup) in bowl. Whisk in eggs, vanilla, and salt. Pour mixture on top of pie crust and spread evenly. Place pie pan into water bath and bake for 1 hour or until pie is just slightly jiggly. 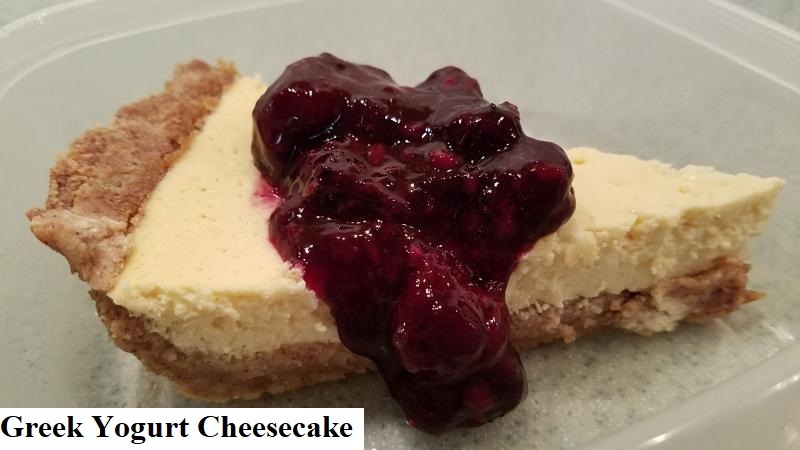 Remove from oven and allow cheesecake to cool to room temp. This is excellent served on it's own or with a dallop of Blueberry Topping!